Calling all parents of kids obsessed with PAW Patrol... Here's something we're sure they'll absolutely love to see! Thanks to FLASH Entertainment, fans both large and small can get their paws on the hottest, live-action bill of the season... du Live! 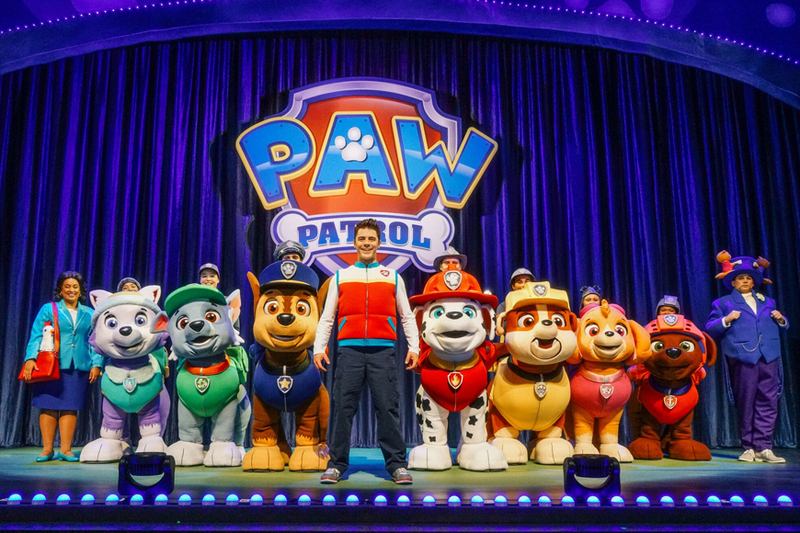 Presents PAW Patrol Live! powered by FLASH Entertainment. Tickets have been on sale since December, but you still have time to get your hands on them if you haven't done so yet. Running from Friday 13th April to Saturday 14th April at the du Forum, Yas Island, PAW Patrol Live! "Race to the Rescue" brings everybody's favourite pups to the stage for an action-packed, high-energy, musical adventure. Based on the hit animated TV series on Nickelodeon produced by Spin Master, PAW Patrol Live! follows the story of the Great Race between Adventure Bay’s Major Goodway and Foggy Bottom’s Mayor Humdinger, however Mayor Goodway is nowhere to be found. Sure to take a bite out of boredom, the show includes two acts and an intermission, and engages audiences with Bunraku puppetry, an innovative costuming approach that brings the PAW Patrol characters to life on stage with their vehicles and packs. Over four showings, in the morning and afternoon, pups of all shapes and sizes can watch as Ryder, Marshall, Chase, Skye, Rubble, Rocky, Zuma and Everest use their skills and teamwork to rescue Mayor Goodway. Catch Paw Patrol on NickJR on OSN! Brand new episodes are set to premiere in December. Tickets for this unmissable adventure start at AED 105, and are available at www.ticketmaster.ae and Virgin Megastores across the UAE. Children under the age of 12 months do not require a ticket, if seated on an adult's lap. Ticket Prices for PAW Patrol Live!